[Suggestion] Confirmation pop-up when registering a forum from "Topic'it login"
As you may know, when you're not registered on a forum, and you enter the "log in" page, there's a button. It says "Topic'it login." What this button does is that when you have an account that matches within the e-mail you have on the forum and topic'it, it logs you in the forum with that account. This has already happened to me twice because as I said, I'm used to using that button for four forums including this one, so when I'm in a forum with an account that uses a different e-mail, I get confused. I was lucky enough to notice it, then report to each admin in each forum and the problem was solved quickly, but imagine you don't notice it. It can create a lot of confusion among the staff from that forum and the user itself, because, if you use the same nick, it duplicates it adding a "0" at the end. So, I think it'd be useful to add a pop-up to ask for confirmation. It can contain something like "Please note if you don't own an account with (THIS_EMAIL) the app will create one with it. Otherwise, it will log you in". It's just an example. Of course, if you accept this suggestion it's up to you what to add: a pop-up, or anything else to avoid confusions. 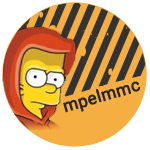 Last edited by mpelmmc on Sun Oct 29, 2017 12:11 am, edited 2 times in total. Re: [Suggestion] Confirmation pop-up when registering a forum from "Topic'it login"
Actually I would ask with a popup for a new username... it is not useful at all to have Username0, Username1 etc. but I entered from the mobile application with topic'it, will create a new record with jucarese0 because the other nick is already in use, but if I do not have an account in your forum, I will create one from topic'it with my data topic'it , automatically, even if you have restricted the new registrations, through activation by mail, the registration will be automatic.